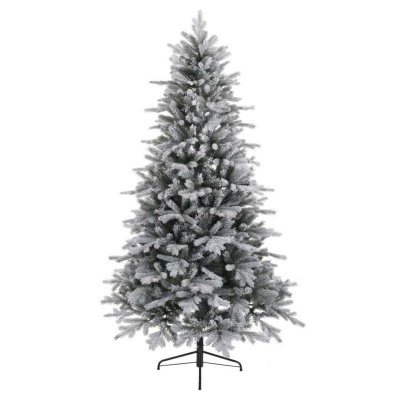 Kaemingk Frosted Vermont Spruce 6ft Artificial Christmas Tree with "Real Needle" authentic look due to PE/PVC branches & tips, realistically frosted for a Winter feel. 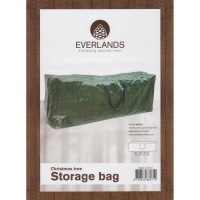 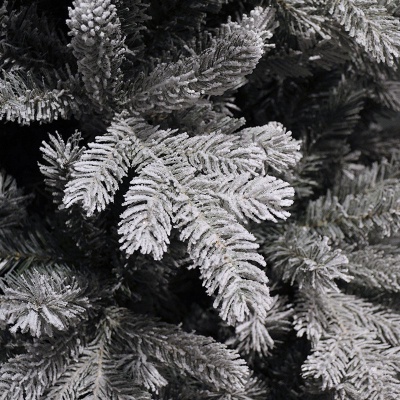 Polyurethane (PE) allows realism of soft tip shape to closely resemble a natural looking frosted Vermont spruce tree, combined with the mix of Poly Vinyl Chloride (PVC) materials gives the tree branches strength for decoration hanging. 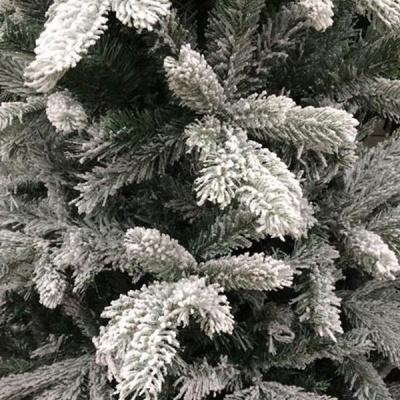 An authentic 1.8m (180cm) high quality tree such as the Frosted Vermont is an investment that will provide any family home a trustworthy and reliable centrepiece each Christmas. PE mixed trees require less shaping for realism than a 100% PVC tree, ensuring the enjoyment of lights & decorating can begin sooner! 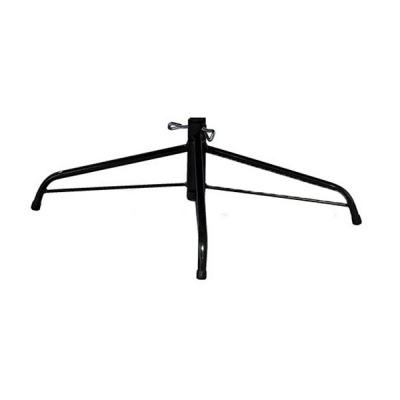 Metal fold out base supplied with tree is more durable and many times more stable than most other stands available on the market.